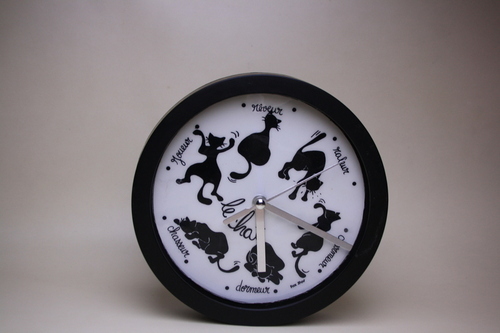 Inspired by the maddening timepiece from Discworld, this clock keeps time, but anyone watching the seconds tick by may be mentally unstable for it. [Renaud Schleck] built the stuttering clock using very few components. He undertook the build after being inspired by the version which [Simon Inns] built. The clock itself is a run-of-the-mill item which uses one battery to keep time. We’re always impressed by how these dirt-cheap things remain so accurate over the long haul — but we digress. The method of attack uses coil injection to drive the hands. [Renaud] used one of the microcontrollers from the MSP430 Launchpad, along with the clock crystal which also shipped with the kit, to gain control of the mechanism. The crystal triggers an interrupt which does the actual time-keeping. The seconds hand is driven rather sporadically based on an algorithm explained in his write-up. You can watch the uneven ticking in the video after the break. Despite that visually disturbing functionality, the short and long ticks balance each other and the correct time continues to be displayed. It is that time of the year again! Layer one, the annual security conference is just around the corner. They’ve issued their call for papers so if you have something interesting, you’ll want to get a hold of them. If you haven’t heard of the conference before, take a few seconds to just stroll back in time and see some of the cool stuff they’ve shown off. We love seeing their cool hackable badges every year and we know this year won’t be any different. Seeing this IBM joystick again really brings back memories. But it can be used on a modern system thanks to this USB conversion project. This particular model had a connector which is foreign to us. It looks like a boxy USB-A plug, but has an eight-pin sockets which looks like it’s 0.1″ pitch. You could try to make your own male connector using a dual-row pin header, but [Gruso] just went ahead and lopped off the end of the cable. He managed to dig up the pin-out for the device and found that it could be wired up to a gameport — the connector being the only real difference. He gutted a USB gameport adapter, removing the DB15 connector and soldering directly to the board. The boxy old peripheral has just enough room to house that PCB. If you’re looking for a few more details than this build album provides check out [Gruso’s] comments in the Reddit thread. 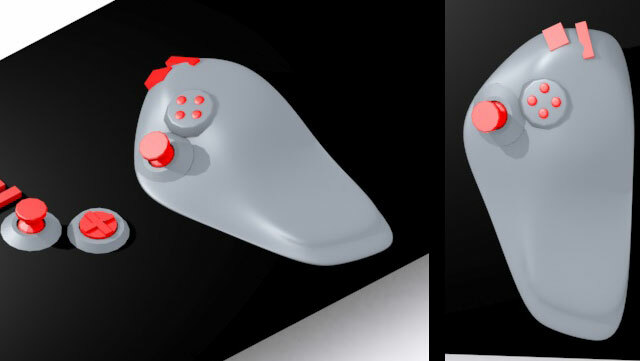 We are going to make a custom gaming controller for a child with Muscular Dystrophy. His name is Thomas and he loves minecraft. This is a project that I have been wanting to do for years. I’m just beginning now, and you can join in on the project and offer your thoughts in our forums. We’re starting with Thomas, but ultimately, we’d like to develop a collection of fairly simple to construct open source game controllers. For people who have a physical disability, gaming can have a profound psychological impact. Sometimes it is the only place where they can go and be on a level playing ground with their peers. Often custom gaming controllers are quite expensive, especially when you start to leave the standard xbox/playstation form factor. The fun of having a giant resistor-shaped Ohmmeter is that it reads back the resistance by displaying the color code. If you’re not too hot with decoding those bands there’s a helper band to the right which will display the value numerically. All of the electronics are housed in the opaque part of the resistor, making for a nice low-profile base. The bent leads are hollow and allow [Sebastian] and his friend to run power and measurement leads through to the power connector on the back and the pair of banana jacks near the front. Each translucent ring houses an RGB LED, except for the one on the right which has four 7-segment display modules embedded in it. An ATmega168 takes the measurements using its Analog to Digital Converter (ADC) to read the value from a voltage divider. You can see a quick demo of the Ohmmeter in the video after the jump. This would be a fun thing to pair with that giant breadboard. Instead of a video, the members of Metrix Create:Space in Seattle, Washington posted a self-guided virtual tour. There is a link to a professional photographer in the area that specializes in this kind of thing. We assume he’s a member and would love to know if he hacked his own setup to capture the spherical panoramas. The image above looks toward the front entrance. To the right is a cafe type counter which even offers a menu board listing membership prices but also time rentals on things like one hour in the solder room. The tour includes shots from 11 vantage points highlighting each portion of the space. This includes everything you might expect (3d printing, laser cutting, electronic prototyping) but a few you don’t. There’s a toddler-safe play area (we hear that the Kansas City hackerspace has one of these too), and a huge pick and place machine.